CO2 levels off the charts! Home » Headlines » Science » CO2 levels off the charts! The levels of carbon dioxide in the atmosphere have increased surprisingly and completely unexpected in the last year, widening concerns about the greenhouses gas’s contribution to global warming. The National Oceanic and Atmospheric Administration’s (NOAA) Mauna Loa Observatory in Hawaii measured the annual increasements of CO2 and it jumped by 3.05 part per million (ppm) in 2015. NOAA’s has always been encouraging through announcements and adds that countries across the world need to lower their carbon production to keep away the effects of global warming. According to the NASA, last year was the hottest on average since record-keeping began. The global average temperature for 2015 was 0.23 degrees Fahrenheit or 0.13 Celsius higher than 2014, which held the previous record. The last year was was the fourth consecutive year in which the carbon dioxide increased, more than 2 ppm according to Pieter Tans, lead scientist of the Global Greenhouse Gas Reference Network at the NOAA. 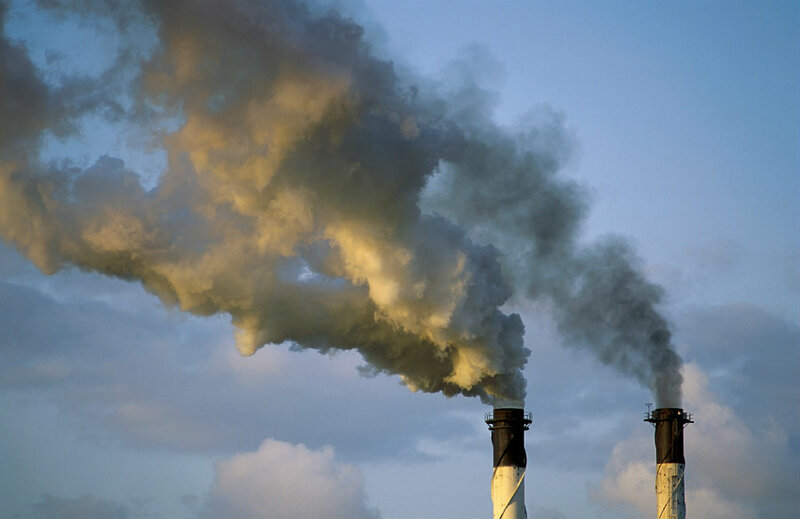 On February, the atmospheric level of carbon dioxide was 402.59 ppm which ended up to be a drastic increase over pre-industrial times. Atmospheric carbon dioxide averaged about 280 ppm prior to 1800. NOAA said that the main reason for this increase is caused by the weather phenomenon known as El niño a phenomenon located in the Pacific Ocean that alters weather around the world. The rest of the growth is driven by continued high emissions from fossil fuel consumption. The largest previous increase of atmospheric carbon dioxide occurred in 1998, also a strong El Niño year. But the last time the Earth experienced such a sustained increase was between 17,000 and 11,000 years ago when carbon dioxide levels rose to 80 ppm. Tans said the rate of increase today is 200 times faster. In December, diplomats from 196 nations across the world agreed to a global pact to curb heat-trapping emissions to protect the most vulnerable areas from this warming threat. The deal alone does not put the world on a path toward what scientists deem a relatively safe level of global warming, reported David Unger for The Christian Science Monitor. But officials stressed that the agreement provides a clear path ahead for countries to quickly and routinely set stronger targets. On Thursday, President Obama and Canadian Prime Minister Justin Trudeau announced a bilateral climate change agreement at a joint press conference in Washington. The plan calls for a 40 to 45 percent reduction below 2012 levels by 2025 in methane emissions from the US and Canada’s oil and gas sector.